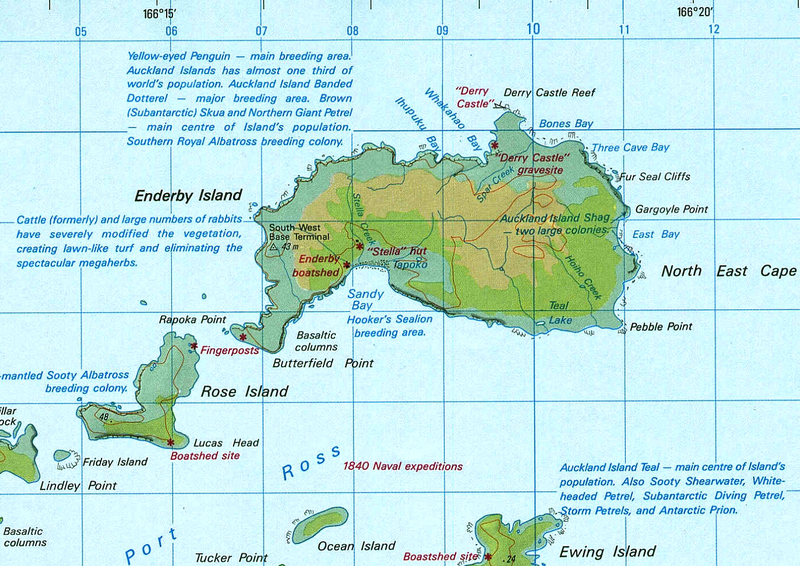 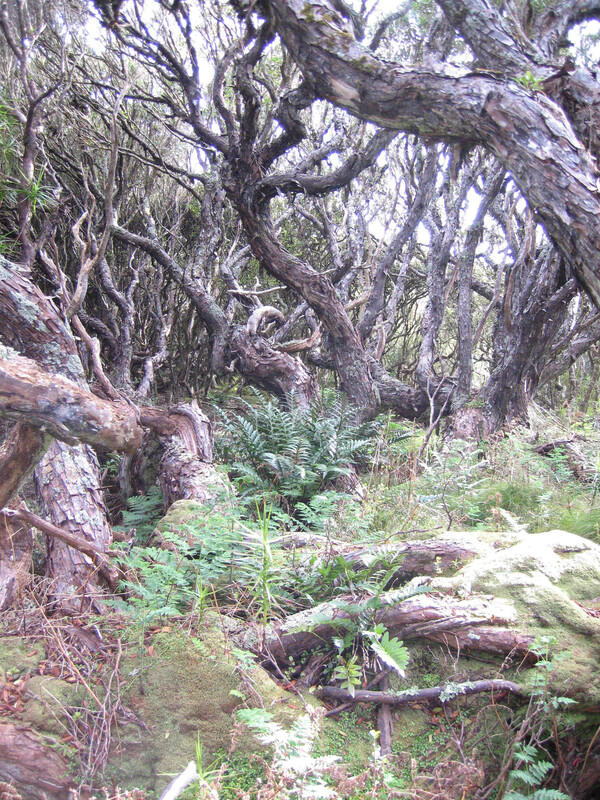 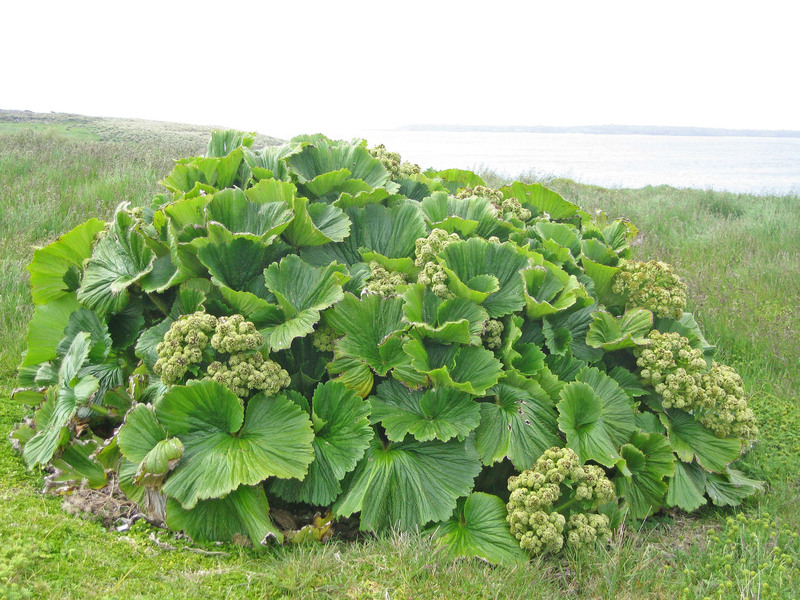 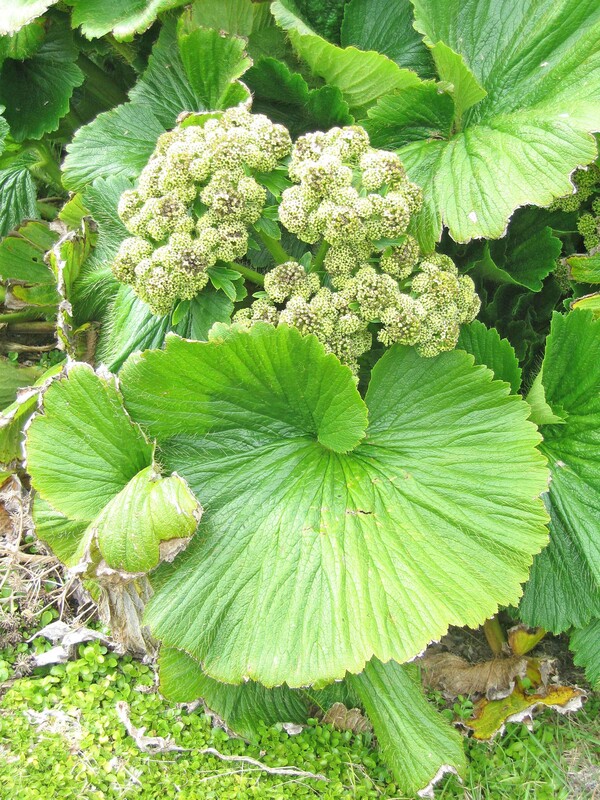 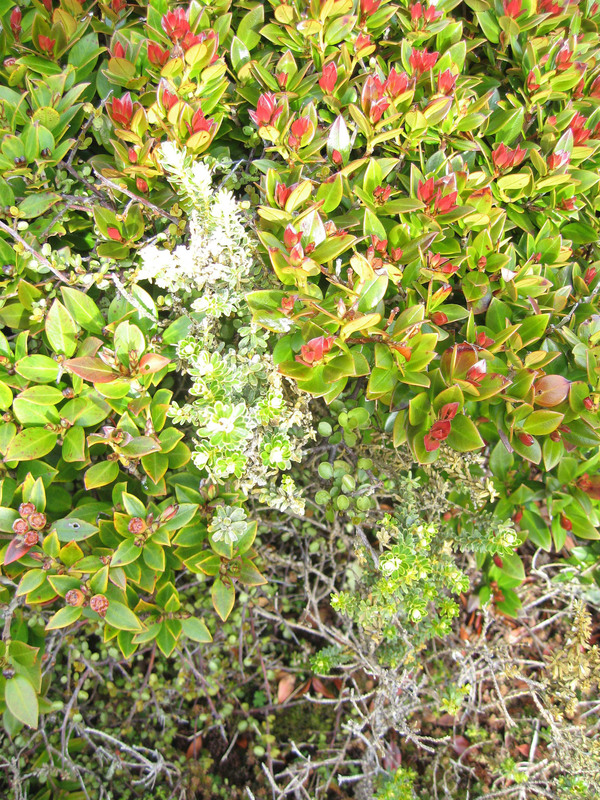 Under New Zealand’s ecological management, the rata forests are regenerating and there is a resurgence of herbaceous plants. 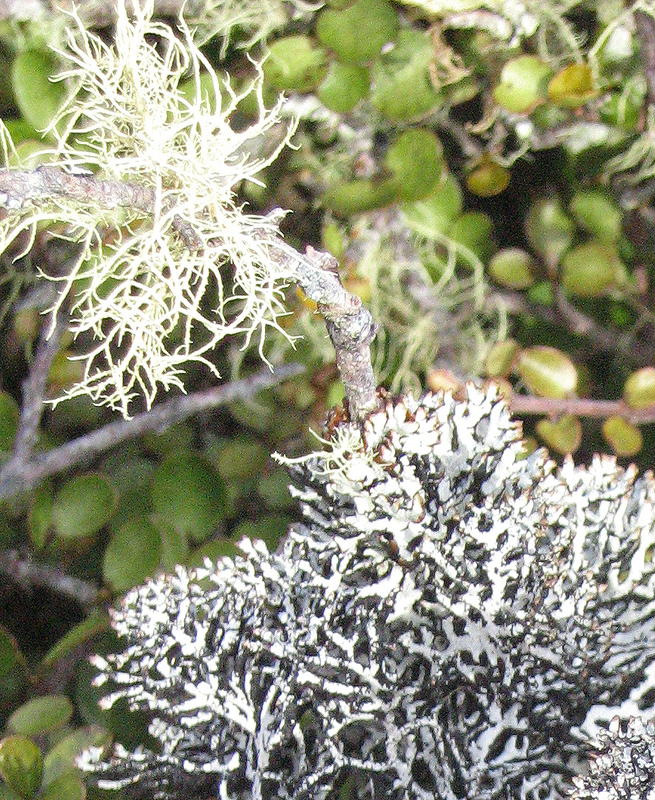 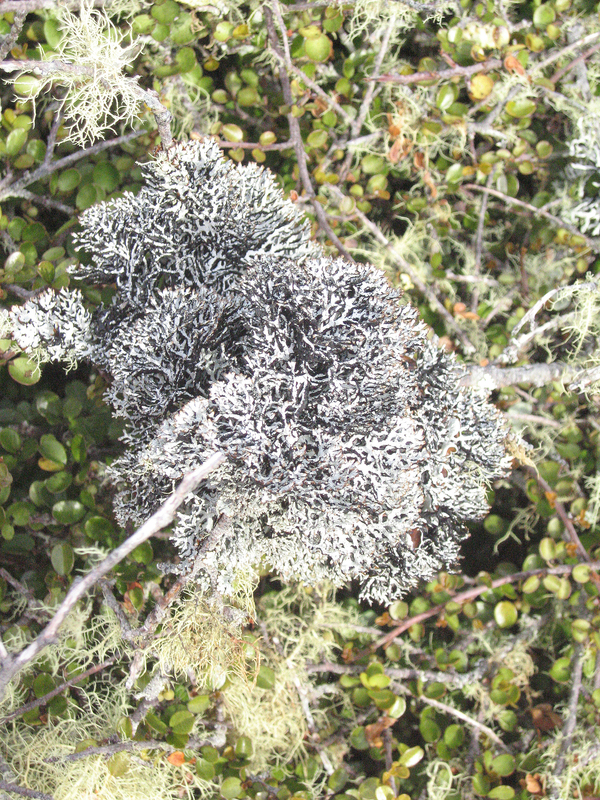 One walks through dense thickets of chaparral shrubs with large lichens. 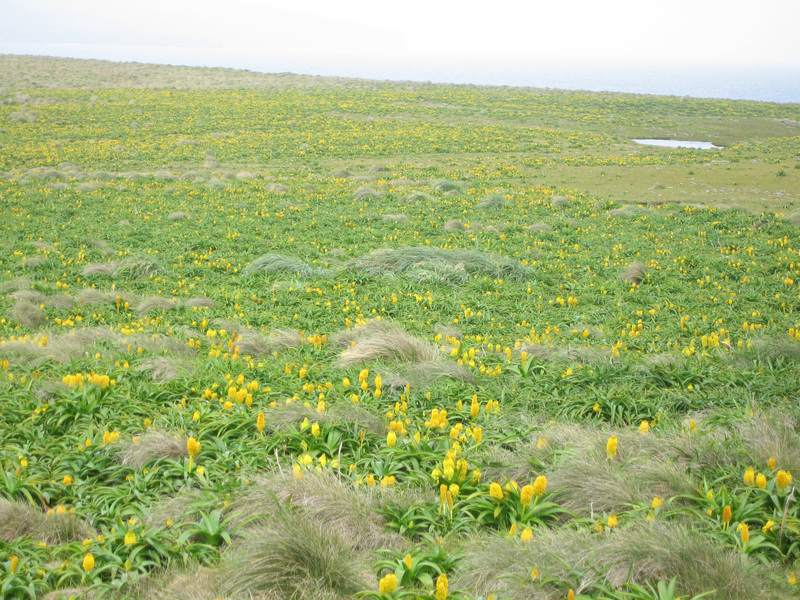 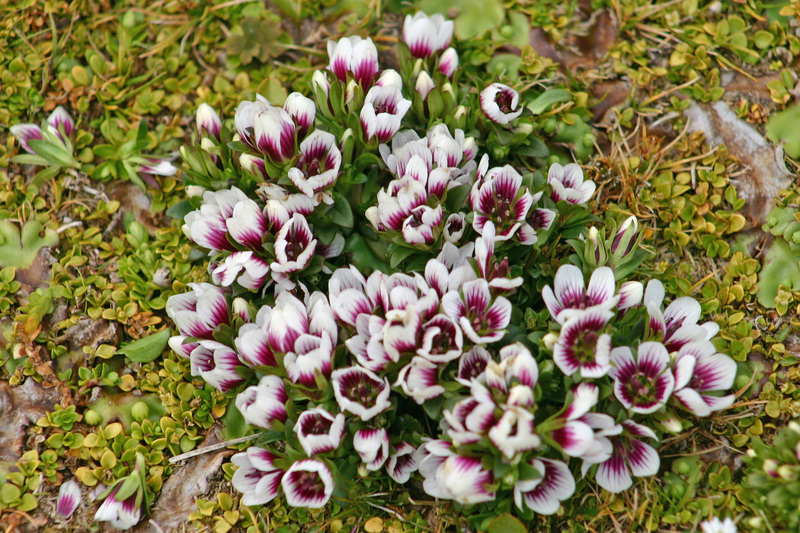 Up on the plateau is a large area of cushion bogs dotted with yellow Bulbinella and many beautiful gentians.